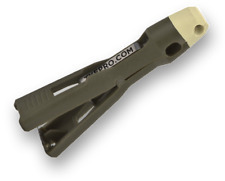 A simple, fast fishing tool to grip, thread small eyelets, tie knots, and clip line. TYEPRO Original works well with most jigs from 1/64 to 1/2 oz. and for hooks size 14 to 5/0. TYEPRO does not work well with floating head jigs if the foam covers all of the shank next to the eyelet. 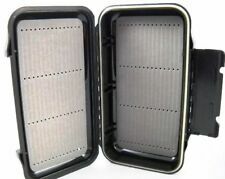 Large -Watertight fly box with neoprene seals, great for salt water fly fishing Rugged, Durable ABS Plastic-will last for years-floats Foam inserts to hold fly fishing flies and streamers snug Big enough to hold all your flies, great for Salmon Fly Fishing Know your fly collection is safe and protected. 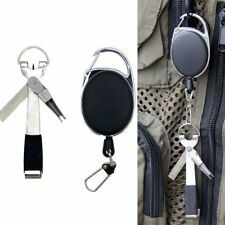 You will get 1 piece x Fly Fishing Line Nipper and 1 piece x Fishing Zinger Retractor. Great for clear hook eyes, trimming line, honing hooks and nail knot tying tool. Keep hooks sharp with built in sharpener. Lures Pro LLC is a fishing baits and tackles factory outlet. Will handle most standard fishing rods. Moss Green in color. Zinger Weight: about 17g/pc. Line pencil sharpener, clippers,eye cleaner / line knot and knot tyer picker, d ring used for simple confirmation. Give a firm tug on line. Tying Tool Weight: about 16g/pcs. With the new addition to the tool, it is now easier to thread the smaller flies, lures and hooks. Small and light enough to fit in your vest pocket, put in a tackle box or hang from your clothing. Each end has a special function to tie different knots. Rubber net,Not to hurt the fish, anti hook. Wooden handle strong, not easy to break. 1xNet Catch. Material:Wood handle,Rubber net. Large capacity of net. We will try our best to reduce the risk of the custom duties. 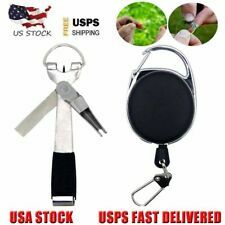 Durable 420 stainless steel construction, 4 in 1 design consolidates gear into one easy to useful quick knot tying tool. Magnetic Net Keeper. 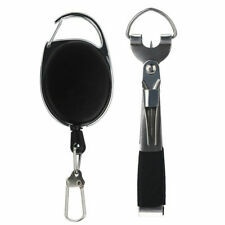 Carabiner attaches to back of vest, necklace or what-have-you. Can easily hold your net in the up or down position. Also works great with pliers. Steel reinforced, partially-coiled, Lanyard at rest is about 24" and stretches easily well over 5'. Built in heavy duty clippers to cut excess line. All-in-One tool for all your line tying needs. Great for clear hook eyes, trimming line, honing hooks and nail knot tying tool. Keep hooks sharp with built in sharpener. Simms Fly Fishing Waist Pack with Neck Strap. Shipped with USPS Priority Mail. DENNISON BLOOD KNOT TYER - Fly Fishing Leader & Tippet Tying Tool NEW! Dennison Blood Knot Tyer. The Dennison Blood Knot Tool makes tying blood & barrel knots quick and easy. It is widely regarded as the best tool for those making their own hand tied leaders or for doing leader repair. 5 out of 5 stars - DENNISON BLOOD KNOT TYER - Fly Fishing Leader & Tippet Tying Tool NEW! 3 product ratings3 product ratings - DENNISON BLOOD KNOT TYER - Fly Fishing Leader & Tippet Tying Tool NEW! A simple, fast fishing tool to grip, thread small eyelets, tie knots, and clip line. 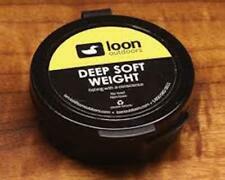 Works well with mono and fluorocarbon line and tippet sizes from 0.020” down to 0.003” (8x) ; flies size 2 to 16; hooks size 10 to 1; and jigs size 1/32 to 1/8 ounces. Dr. Slick Co. 4 " Diamond Hook File. This premium gel floatant is the world's best fly floatant. (Pronounced "ahh kwel"). Premium dry fly gel floatant. 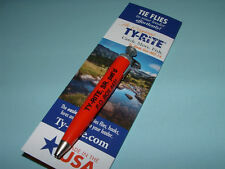 Official fly floatant of Fly Fishing Team USA. Prior to first cast, apply desired amount of Aquel to fly. Top quality solid paste water repellent, especially made for application to dry fly lines. Greatly aids flotation and preserves the finish even with plastic coated lines. Use the supplied soft felt pad or fingers, wiping away the excess. When you use fishpond’s all-new headgate tippet dispenser, you will wonder why no one has thought of anything like it before. The spring loaded hinge design allows an angler to easily add, remove and carry most tippet spools with ease. 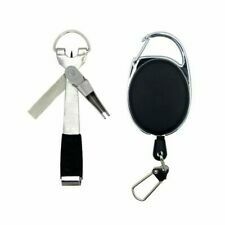 NEW & IMPROVED - Replaces the Two-in-One Knot Tying Tool - still ties many over 14 different knots, but now adds a magnetic hook threader; made of Delron and stainless steel; instruction book included. 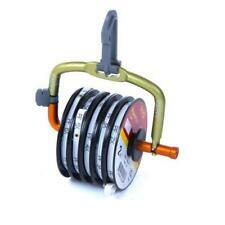 Aluminum Fly Box with Compartments and Foam Slots Assorted Flies. Condition is Used. Some flies are used, most appear new. 24 flies total. Flyagra is a premium floatant that provides long lasting coverage. Also works good with cdc flies. Used by Montana guides this is the best floatant on the market.